I am so very excited to be hosting this week’s #littleloves for Morgana while her and her beautiful family are on holiday. A lovely linky to appreciate what has made up my week. If it’s your first time, welcome and hope you enjoy Butwhymummywhy‘s amazing linky! Happy reflecting everyone! I haven’t had much time to read anything this week while traveling from Idaho to Washington but I did catch a few blog posts that are offering their readers great things! Capture by Lucy – Free Floral Phone Wallpapers are amazing. Come see her summer collection here. Not Another Mummy Blog – Win £100 River Island Voucher! She is always hosting fab giveaways! Get your entries in here! I was excited to get an “adult” day out with my bestie this week. A day out without the kids to hang out one last time before we leave. We didn’t want to have any schedules, plans, or must dos, just a day of hanging out and wondering through shops, having lunch and dinner out. The rain came and we opted for an afternoon matinée instead of the beach. After a few minutes of dilaberating we decided on a movie called, “Let’s Be Cops”. I am not a lover of stupid funny but I have to say I truly admit this comedy was a gut buster. Both of us couldn’t stop laughing in numerous places so much so our mascara was running. It’s definitely a must see, check out the trailer below – keep an open mind lol! I am in love with my new gold and hot pink watch. I haven’t had it off in two weeks as you can see the beach and sunblock haven’t been good for it. But it’s so pretty, definitely my favorite bargain find here in the states, shopping. I have loved Zucchini Bread (Courgette Bread) since I was really little and through out the years growing up I have ate a million different varieties of it. I have made it with chocolate chips, raisins, blueberries, orange pieces etc. This week I decided to drizzling homemade Lemon Glaze on top for a sweeter taste. It turned out delicious. Check it out here. I hope you all will come have a peak at my Instagram and see where our holiday has taken us in Idaho exploring the mountains, beaches, canons, and rivers and now in Seattle with more family and friends. It’s been a great American summer full of adventures! I can’t wait until next year already! Copy the headings and use them as prompts in a blog post then link up below and let me know! Don’t forget to show some love to the fellow bloggers sharing the little things that they’ve loved this week. If you tweet me the URL I will be happy to share it, use the hashtag #littleloves! Thank you Morgana, it has been a true honor to host your #littleloves linky! Love your new watch, its so pretty and classy. I loved the Wayans when they did White chicks, most daft movie ever but always has me laughing my head off :)…Oh and welcome baaaackk!! I am very tempted and it was a bargain so even more tempted. 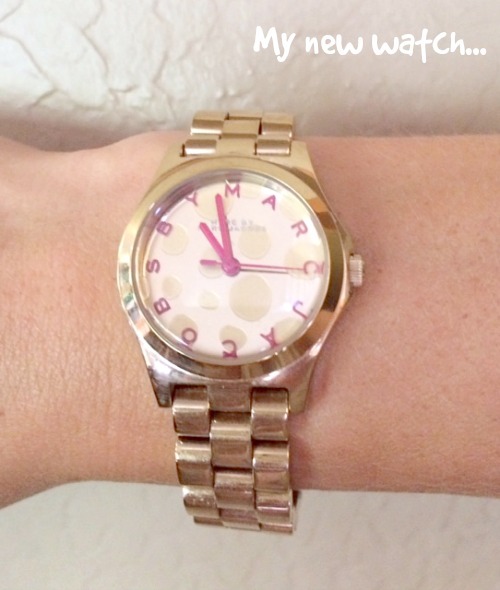 I have been looking for a gold watch everywhere and love the pink. Thanks for stopping by! Lucky you for some adult time and seeing a comedy to boast! I’ve been meaning to see Let’s Be Cops, but haven’t found the time. Hopefully, I’ll catch it on DVD when it comes out. Thanks so much for hosting this week! Have a great weekend! Do it’s funny. I had a great time. Felt weird without the kiddies with us but much deserved. lol Sad to have left though. Hate saying goodbye. Thank you so much. I was so excited when I spotted it. I needed a gold watch and I love the dark pink on it. The bread is one of my favorites. Thanks hun. I love your watch Jenny, it’s gorgeous. So lovely you managed to have a day hanging out with your bestie before leaving. It must be so hard going knowing you’re not going to see them again for such a long time. It really is and I hate saying goodbye. I am no good at it and always cry my eyes out and hate letting the kids see me so upset and not understand why. Especially when Buba wouldn’t say goodbye to my mom as he thought he would see her the next day and that’s it for another year. Boo. Thank you so much Triona! So sweet of you to say. I know me too. Besties are the best. I am so sad to being spending my last few days here in the states and returning to the UK Friday! Boo. Sad week. Glad you have been loving my IG feed. It’s been great still being able to share our adventures since I have’t had much blog time. Your new watch is so pretty and that zucchini bread looks great! 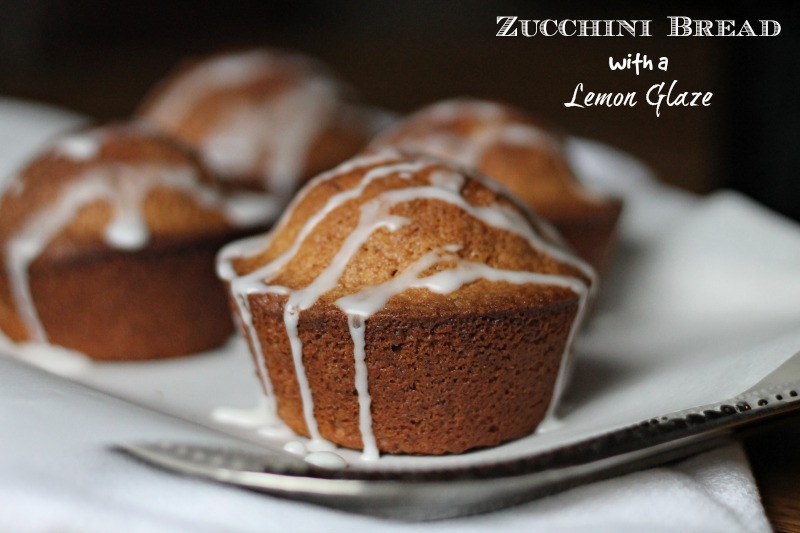 A lemon glaze sounds wonderful!